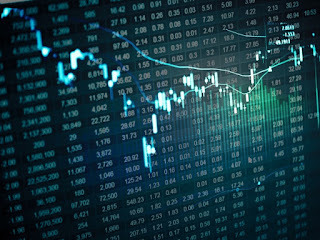 Benchmark indices traded flat tracking mixed signals from Asian stocks and US market witnessing fresh spike as US dollar surged to a 14-year peak. Back home, India's trade deficit hit 2-year high to $13 billion in November as exports grew for the third consecutive month. At 10:40 am, the S&P BSE Sensex was trading at 26,494, down 24 points, while the broader Nifty50 was ruling at 8,141 down 12 points. In broader markets, BSE Midcap down 0.24% while BSE Smallcap gained 0.02%. 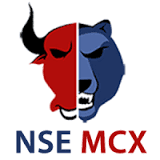 "Nifty is stuck in the trading range and till it doesn’t cross and hold above 8,230 zones weakness may persist with the downside support of 8,080 and 8,055 levels. On the upside if it manages to cross 8,230 then only it may head towards 8,280 and 8,335 zones. Traders are suggested to capture the stock specific action in the market as both the indices like Nifty and Bank Nifty has got in the broader trading range and require a decisive range breakout to continue the momentum," said Anand Rathi Technicals in a note. On Thursday, foreign investors turned net sellers with net sale value of Rs 611.97 crore, while domestic investors also sold equities worth Rs 177.48 crore, provisional data available with BSE showed. Meanwhile, Rupee was also trading weak against the US dollar tracking losses in its Asian peers after the Fed raised interest rates. Auto, IT, consumer durables, metal and realty sectoral indices were gaining while Banking, oil & gas, pharma and energy stcoks dragged the markets. Tata Motors, TCs, Infosys, GAIL and NTPC were the top gainers at BSE Sensex while Sun Pharma, M&M, Adani Ports and ITC were the biggest laggards. All except one oil & gas stocks were trading in red. HPCL was the top loser, down 0.91% followed by ONGC, IGL, Oil India. Exports rose for the third straight month in November, recording a growth of 2.29%, though the trade deficit shot up to about 2-year high of $13 billion mainly due to increase in gold imports. The trade deficit was $10.33 billion in the same month last year. The country’s merchandise exports during April-November period of the current fiscal too recorded a growth of 0.10% to $174.92 billion. In November, exports added $20 billion compared with $19.5 billion a year ago, an increase of 2.9%, data released by the government showed. Gold imports rose by 23.24% to $4.36 billion in November. Trade experts said they expected export growth to be negative, owing to demonetisation. It was in November 2014 when trade deficit hit a high of $16.86 billion. The spike in gold imports in October-November 2016 and the recent rise in crude oil prices amid steady demand for fuels suggest that the current account deficit in H2 FY2017 would range between $10-15 billion, significantly exceeding the muted $3.7 billion for H1 FY2017, Aditi Nayar, Principal Economist at ICRA said. The dollar stood tall on Friday, on track for hefty gains for the week, after scaling 14-year highs against the euro as well as a broader basket of currencies on expectations of more US Federal Reserve interest rate hikes. The dollar has been on a tear since the November 8 election of Donald Trump, whose administration is expected to embark on inflation-stoking stimulus policies. On Wednesday, the Fed raised interest rates by 25 basis point and also suggested three hikes instead of two in 2017. The dollar stood near a 14-year peak, bond yields were highly elevated and Asian stocks struggled for traction on Friday as global markets continued adjusting to the idea of higher U.S. interest rates. Asian stocks were tepid, reflecting the differing fortunes for developed and emerging market economies faced with higher U.S. interest rates. MSCI's broadest index of Asia-Pacific shares outside Japan crawled up 0.1% after falling 1.8% on Thursday. The broader emerging market stock index was down 1.6%. Shanghai gained 0.1% after losing 0.7% the previous day, while Malaysian and Indonesian shares were a touch lower. South Korea's Kospi added 0.3%. Japan's Nikkei climbed 0.7%, reaching a one-year high on a weaker yen and gains on Wall Street overnight. US shares rose on Thursday, brushing off the initial shock of a more hawkish Fed, led by shares of banks seen as beneficiaries of higher rates. Great article thanks for sharing this kind of information. STOCK CASH TIPS IN INDORE are the best part of making a small investment in a single day and make a profit easily. You watch the best level’s and decide how to invest in the share market. In stock case primary service in which we provide intraday tips for case market on the basis of best in research and analysis on selective scripts every day.